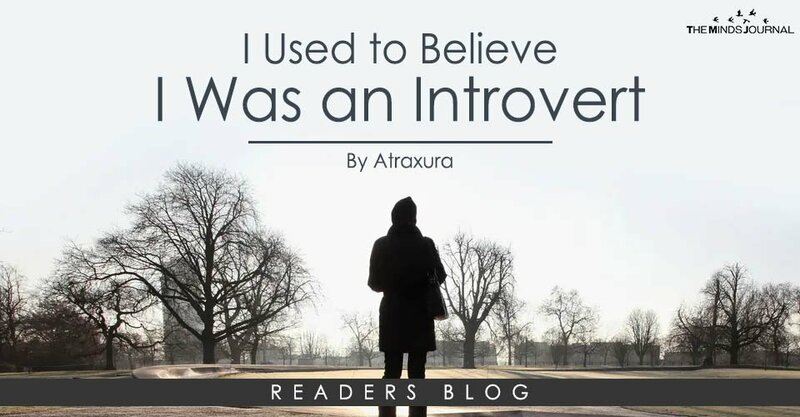 I had always presumed myself to be an introvert, despite my Type A personality, my choleric temperament, and my complete disinterest in books and cats. … all for the simple reason that I am not, nor have I ever been, a party animal or a “people person”. The word extrovert brought to mind empty, prosaic people who had no aspirations, other than a life of pleasure and the approval of others. They were simultaneously boisterous and boring, and they seemed to thrive on wasting other people’s time. I never enjoyed those people or their company. I never wanted to be like them, and I actively fought to not become like them. I perceived them as motley and naive, lacking intelligence and ambition. Worse yet, I saw them as a threat to my own aspirations; they often seemed intent on distracting me with their mundane antics and discouraging me from my goals. I didn’t think extroverts were capable of seeking a life of meaning, a higher purpose. I didn’t believe them capable of respecting my own quest for this. In my mind, life was a party to the kaleidoscope of social butterflies. I never wanted to “change” and become an extrovert. I was adamantly against the notion, militant in defending my personality and bellicose in my refusals to sacrifice my time and efforts on boring social niceties which benefitted no one. It made me furious to hear about people who “used to be shy but then overcame it”. I understood this phenomenon to be a regression of integrity and not an improvement. — This was my understanding at the time, but if you have defeated something, whether shyness or anything else, which was holding you back from your aspirations, I applaud you with an extrovert’s trademark enthusiasm. — I, however, fought like a lioness to retain what I perceived as my “introversion” in a world which seemed to steal my time and efforts with the pressure to participate in arbitrary social activities, from which neither I nor anyone else seemed to profit. I recently took the MBTI test, and reading the various descriptions of my “type”, I realized that I’m not really an introvert. My personality type (ENTJ) explains why I am rather unsociable, while not fitting into the introvert box, or even the ambiavert box. (I’m actually on the far end of the spectrum, at 90% extroverted.) I now understand that I was actually fighting for my right to freely utilize my time and efforts, to shut myself away from paltry diversions and discouragment, to work effectively toward my own aspirations. I recognize that my “social anxieties” were coming from a far different place than true social anxiety (which usually comes from a fear of rejection). I was never in a shell. I was anxious about boredom, wasted time and the possible inability to easily get away. I feel great acknowledging this, perhaps even validated. I’d rather be task-orientated and time-efficient than amicable or agreeable any day. … and, admittedly, I have an intense hostility toward anyone who attempts to hinder me in my ambitions.